For two years, Justice Turnbull has paced his room at Halo Valley Security Hospital, planning to escape. Justice has a mission—one that began with a vicious murder two decades ago. And there are so many others who must be sent back to the hell that spawned them. . . Kill. . .Laura Adderley didn't plan to get pregnant by her soon-to-be ex-husband, though she'll do anything to protect her baby. But now reporter Harrison Frost is asking questions about the mysterious group of women who live at Siren Song lodge. Harrison hasn't figured out Laura's connection to the story yet. But Justice knows. And he is coming. . .
Then Kill Again. . .All her life, Laura has been able to sense approaching evil. But that won't stop a psychopath bent on destroying her. Justice has been unleashed, and this time, there will be no place safe to hide. . . This book was an absolute page turner. These two sisters wrote these characters so well. The way they wrote this villain was so good that I loved him only because he made the book so interesting. But I hated him because he was so sinister. OMG he was so EVIL!! He's the kind of guy that you definitely want to read about but never want to meet in person EVER. Her other character Laura, was such a sweetheart that you instantly fall in love with her. And then (exhaling) you have Harrison, who doesn't love a reformed player? (Well at least in my opinion.) This book has a great variety of characters that made this book a great suspense. This book was completely amazing. However my ONLY complaint is that I would have loved to read more about Justice. Although evil as he was, he was a very interesting character and I would have loved him to have more page time. (I know, call me weird) My only regret is that I didn't pick this book up sooner :-( I give this book 4 stars and a must read for you suspense lovers. A definite "Good Choice for Reading." This was sent to Good Choice Reading by Kensington Publishing Corp. 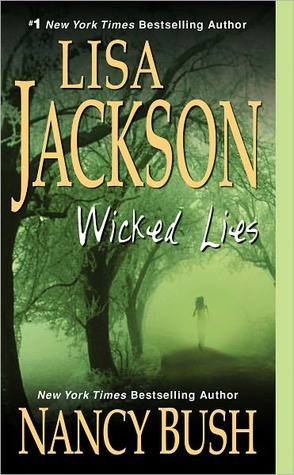 In one of the most anticipated pairings of 2011, #1 New York Times bestselling author Lisa Jackson teams up with acclaimed mystery writer—and her sister—Nancy Bush for WICKED LIES, a riveting work of suspense about a conniving psychopath’s terrifying mission to punish those he believes were born into a cult of evil. 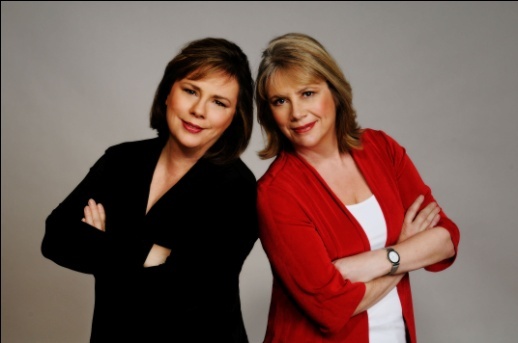 Lisa Jackson and Nancy Bush’s writing careers have been intertwined since the day they first put pen to paper. The sisters began writing over two decades ago, when they were young mothers trying to make ends meet. While they initially wrote together, their careers eventually took different paths; Lisa’s novels have ended up on national bestseller lists, while Nancy’s writing has expanded to include not just her own novels, but also a career as a writer for one of television’s leading soap operas. In 2009, they teamed up for the first time in years to write the bestselling hit Wicked Game. Now, once again, the two are combining their talents to create one all new novel of suspense, WICKED LIES. Lisa Jackson’s work has taken her to the seamier sides of New Orleans, Savannah, San Francisco and her home territory, the Pacific Northwest—all in the company of killers. She is the author of over seventy-five novels, which also include her #1 New York Times bestseller Fatal Burn, along with other recent national bestsellers Left to Die, Lost Souls, Twice Kissed, Absolute Fear, Shiver, Almost Dead, Twice Kissed, Final Scream, Deep Freeze and The Morning After. Nancy Bush is the author of the acclaimed Jane Kelly mysteries, which include Candy Apple Red, Electric Blue, and Ultraviolet. Her latest romantic suspense novel, Hush, will be published by Kensington in July 2011. * LEAVE A COMMENT BELOW WITH YOUR NAME and EMAIL ADDRESS. Sounds like a gripping read. Please include me. I'm a follower. Sounds great. Thanks for the chance!! I love Lisa Jackson. Thanks for hosting. I have not had the opportunity to read anything from these ladies before. I think this book sounds pretty good. Please count me in. Thanks! Please count me in. This book sounds like a keeper. I love Lisa Jackson and her sister Nancy Bush. I would love to win this. This sounds like a book that I would love and so would my sister. I love a good suspense and this one sounds great. Enter me please. Would love to get this book. Your review made it sound irresistable. This sounds like a great book. I have read some of Lisa Jackson's books before but I don't think I have read anything by Nancy Bush. Thank you for hosting this giveaway. I am a Google Friends Connect follower of your blog. I am a big fan of Lisa Jackson and since you said that it is an absolute page turner, I would really love to read this book. I'm a big fan of Lisa Jackson but have never read Nancy Bush. It sounds like an exciting pairing though. Please include me in the drawing. allisonmoyer(at)yahoo(dot)com Thanks so much! I follow as The Loopy Librarian. would love to win this book it looks great. thanks for the giveaway and the chance to win. I've enjoyed reading Lisa's books but I've never read any of Nancy's stories. I'd love to read a book by both sisters! Thank you for the giveaway! --- I didn't want to read the review until after the book (Didn't want a hint of idea about what's in it!!) but if I win it, I'll definitely be coming back to see what you all thought!